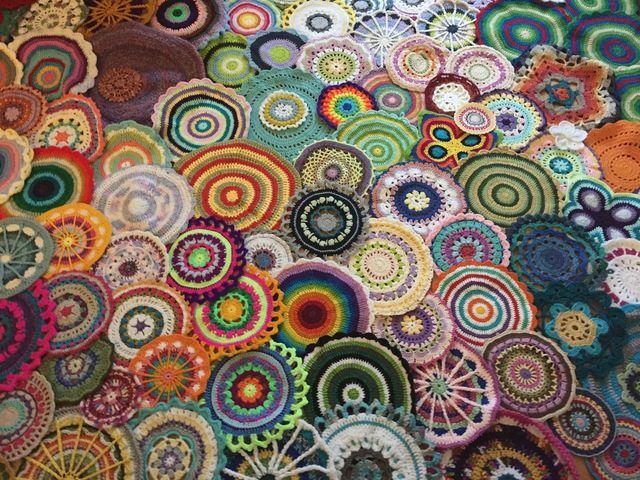 I am thrilled to announce that the mandalas created by the crochet community for the Mandalas for Marinke project will be on exhibit soon. It was amazing to me to see each of the mandalas as they were submitted and then to see them growing together as a big group that shows off the work, efforts, talent and love of so many people from around the world. It is a dream come true to finally have a space where others will also be able to see them as a group. 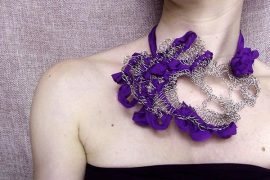 If you aren’t familiar with the project, it was created in honor of the work of Marinke Slump, a crochet designer who died by suicide in 2015. It was a big online project to raise awareness about depression and suicide; take time to read through some of the posts here. I have been so lucky to receive support for this project from Alyssa and Liz of crochet artist team Threadwinners who bring with them skills in curating shows as well as teaching crochet to others. The first version of this installation, Healing Circles: Mandalas for Marinke, will be at Grab Bag Studio in the month of November 2017, opening on 11/5 and closing on 11/26. People can request to make an appointment to see the show up until closing, and you will find specific event dates below. 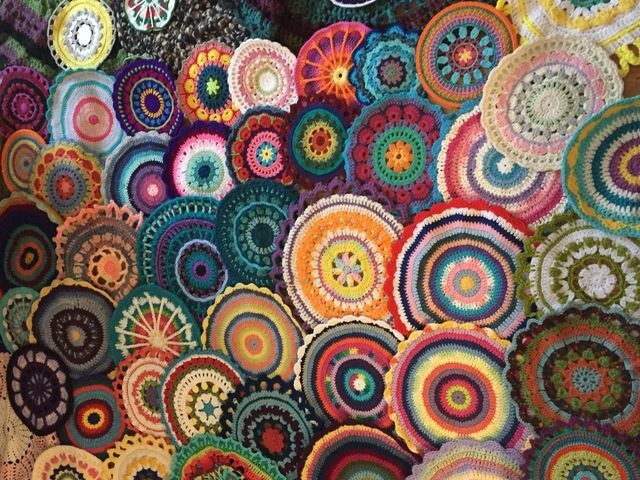 Some of the crochet mandalas will be on display in the front window of Grab Bag Studio for people to see at any time of day or night; the windows will be lit so come anytime. 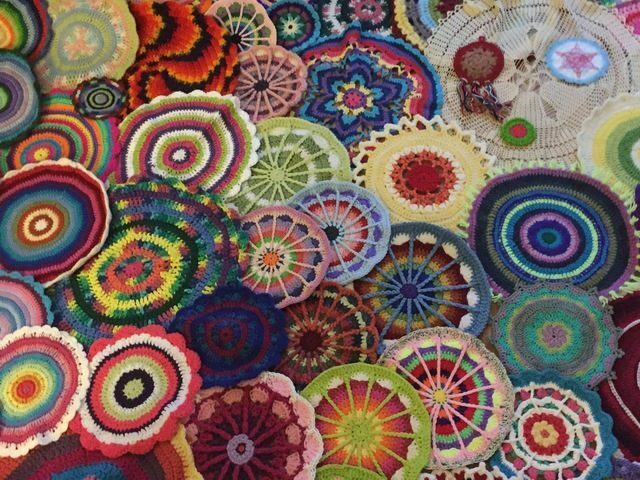 Join Threadwinners for the opening reception on Sunday, November 5, from 11 a.m. to 2 p.m. Brunch will be served in the gallery amongst the crochet pieces. Admission is free; donations are encouraged. This reception offers a great opportunity for visitors to not only see the mandalas up close but to get a chance to interact with them – touching them and experiencing the color therapy and visual healing power they emanate. You are also welcome to bring your projects to work on. You are invited to connect with others in a friendly environment, free from judgment and social pressures, or keep to yourself if you prefer and just work on your knitting / crochet in the coziness of this healing space. Note that I will unfortunately be unable to attend this opening reception. 4 pm – closing: We will be setting up several small areas where people can gather in cozy circles, seated on mandala rugs and pillows, to crochet/ meditate/ mingle/ relax. I will give another brief talk and we will have some discussion questions to read and reflect upon. There will be open spaces for people who wish to share their experiences in a safe setting. People who are more comfortably sharing in writing will have a space to do so, with the option to be anonymous. People can participate to whatever degree feels right with zero pressure or judgment. “Grab Bag Studio is a shared studio and an artist collective in Long Beach, California.” It is a place that celebrates community and encourages collective well-being. This makes it the perfect place to launch the Mandalas for Marinke art exhibit. The many people from around the world who participated in this project come from so many different backgrounds, cultures, belief systems and personal ideologies. What we have in common is that we believe in the individual and collective benefits of crochet and wanted to come together to raise awareness about depression / suicide using our talents with the craft. I know that some of you are not going to be able to visit Southern California to see this show in November. There will be other opportunities to see the mandalas in person, including a California show in early 2018. However, the best way to see the majority of them is in the upcoming Mandalas for Marinke Art Book. Signed copies of this book will be on sale at the installation. The book will be available for sale through Amazon beginning November 2017. All mandalas can also be seen online here; each post includes many more photos than are available in the book along with the stories and thoughts people shared and information to raise awareness about depression. This is wonderful. Is the art show going to travel across the country? It is going to start in Southern California and then I’m going to re-evaluate from there to see what I can do to spread it further. I am so excited that you have been working on the book! I would love to go to California to see the show, but cannot. Maine is too far away. Congratulations on seeing these projects come together. I know it was a lot of work. So great to for Wink’s family and friends to see that she is not forgotten and how much she influenced people! Great job Kathryn. Great that the Mandala’s for Marinke will be shown for all to see! I really wish I could come over to see them all with my own eyes. Depression Awareness is growing, and you and all the participants helped too. Let us hope depression can be cured in the future. 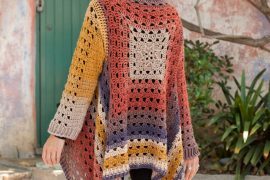 I am glad that the name of Marinke is still mentioned in the crochet world. I hope the show will be a big succes, even as the book. I am looking forward to seeing the book with all the colorfull mandalas. Love from the proud mom of Marinke. Thank you so incredibly much for your comment. This is so awesome, Kathryn! What a perfect partnership you have found with Grab Bag Studio and Threadwinners. Are you taking pre-orders for the book? I wonder whether a large number of pre-orders will provide enough impetus to garner more interest and investment to launch a small tour or just ‘the next’ exhibition in another locality to spread the word. (I have a strong feeling that there will be a ‘next’). Who know, thinking expansively, what are the chances of the exhibition appearing in The Netherlands? I really love the ancillary activities associated with your exhibition such as safe spaces, allowing people to just settle in and craft in the space and also talks. 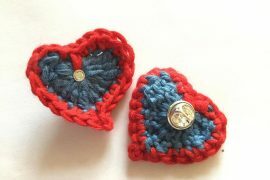 The best idea is the workshop to spread the skills of crochet so that anyone can reap the benefits of this simple craft that means so much to us. Totally awesome, Kathryn. Well done. Wish I could pop over to see it in person. The book is now out so there is no need for pre-orders but I do love your thinking about the direction that this could go! Kathryn, I have finally been able to save up and order the Mandalas for Marinke book. Do you know whether Amazon has any signed copies? 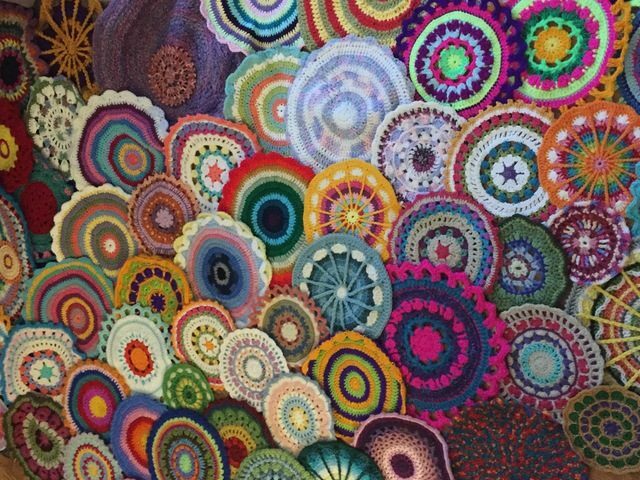 In this exposure are only contributions 2016?, I mean how many mandalas you have received so far?. It is really impressive.